To locate a school in the area in which you would like to rent please refer to our District map. Most District gyms are available for rental after 6:00 pm Monday to Friday and anytime on Saturday and Sunday. New Clients – If you are a new client and wish to use a school gym, please submit a Gym Rental Application Form ten (10) business days prior to your start date. Upon approval of your request and prior to the start date on your Permit, we require a minimum $2 million liability insurance naming the Board of Education of School District No. 61 (Greater Victoria) as an additional insured no later than seven (7) days prior to the start date on your Permit. If you don’t have insurance, it may be possible to purchase it through the School District. For start dates after September 30 please allow a minimum of 10 business days prior to your requested start date to process your rental application. Returning Clients – The renewal deadline for returning clients is July 15 each year. Please submit a Gym Renewal Application Form by July 15. Upon approval of your request and prior to the start date on your Permit, we require a minimum $2 million liability insurance naming the Board of Education of School District No. 61 (Greater Victoria) as an additional insured. 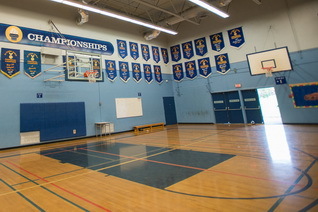 Every attempt will be made to rebook returning clients into the same gym and time slot each year unless a District program requires the space. If your Permit time is required for a District program, every effort will be made to accommodate your group at another time/day/facility. Deliver, mail, email, or fax the signed Gym Rental Application Form to the Rentals Department.